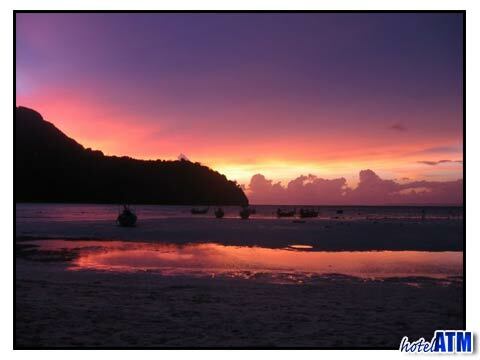 Slinky Beach Bar is the hapenningest bar on Phi Phi beaches. Every night seems to be bigger, fuller, busier than the last. People eat in Phi Phi Village in Phi Phi Don with a warm up drink but when the sun goes down and feeling for fun on the beach starts, the Slinky Beach Bar builds to a frenzy. Slinky Beach Bar right is on Loh Dalum beachfront and plays awesome sets each night building from 9pm. A fire show kicks things off and this is quite spectacular in itself. The free shot liberally offered by the bar team quickie kicks the mood into overdrive and the parting moves from fast to insane. This nightlife scene is the perfect mix of tropical beach, hypnotic music, great people and dancing all night. As the night goes on people slow down on the beach and watch the sun rise. Slinky Beach Bar music is focused on mood then dance. I'm not in with the scene enough to know the name of the styles as all I know is that I just want to continue dancing. So whatever it is, however they do, they do do it well. A little washed up you return to your room for a few hours before returning to the beach for a bit of bunchy breakfast. The Slinky Beach Bar is a whole scene that can take you on a memorable journey lasting for as many days as you can survive. No wonder this bar has grabbed the island's headlines since it's arrival. 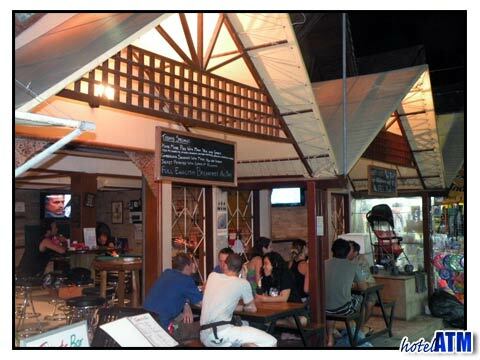 Slinky Beach Bar regularly gets compared to the atmosphere and mood in the Koh Phangan full moon party. There is something about the music, down on the beach feel that makes you think you are in the Zoom Bar or Cactus Club. The atmosphere is less than the Full moon but this makes it fresh, a feeling of something new. It's like the buzz you get from a mini festival compared to ending up with all the throngs at Glastonbury. As you would expect, party nights at Slinky Beach Bar are superb. pretty much anything and everything is celebrated. Key high season nights are Christmas Eve, New Years Eve, Full Moon every month, Valentines, Songkran, Chinese New Year, Loi Kratong, Hallowen, the owners birthday, the staff birthday, your birthday! if you are partying hard Slinky Beach Bar you will need a place to drop near enough so you don’t have a downward mood swing because you have to walk for ever to get to your room. Places very close to the bar are the aircon PP Charlie Beach Resort, the beachfront air con or fan Phi Phi Twin Palms Bungalow, the air con PP Casita with pool. Many of the reviews for Phi Phi Twin Palm are effected by the party scene on the beach as they are close to the music.